This is the Raw Speed RC Nitehawk 1/10 2WD Buggy Body for use with the Team Losi Racing 22 4.0 2WD Buggy. This body requires trimming and polycarbonate paint. 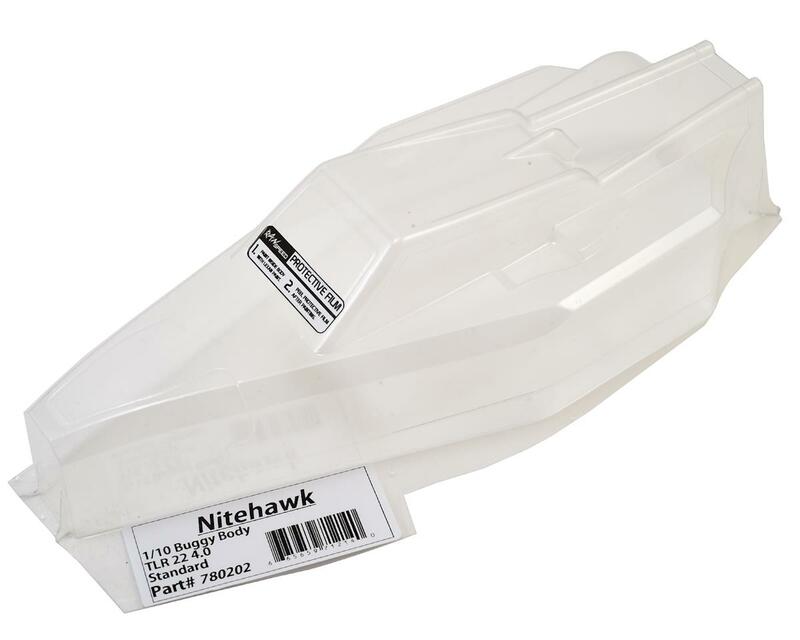 The Raw Speed Nitehawk for the B6/B6D has been designed with a very low and sleek side pod profile. The tolerances between the motor tabs and the side pods are very small. Raw Speed RC highly recommends that you rotate the motor tabs forward or backward to give extra clearance between the motor tabs and the body. Raw Speed RC also recommends putting a piece of tape under the body to keep the paint from getting scratched by the motor tabs. For the lightweight version, see part RAW780202LW.